Welcome to elena cobb star prize! 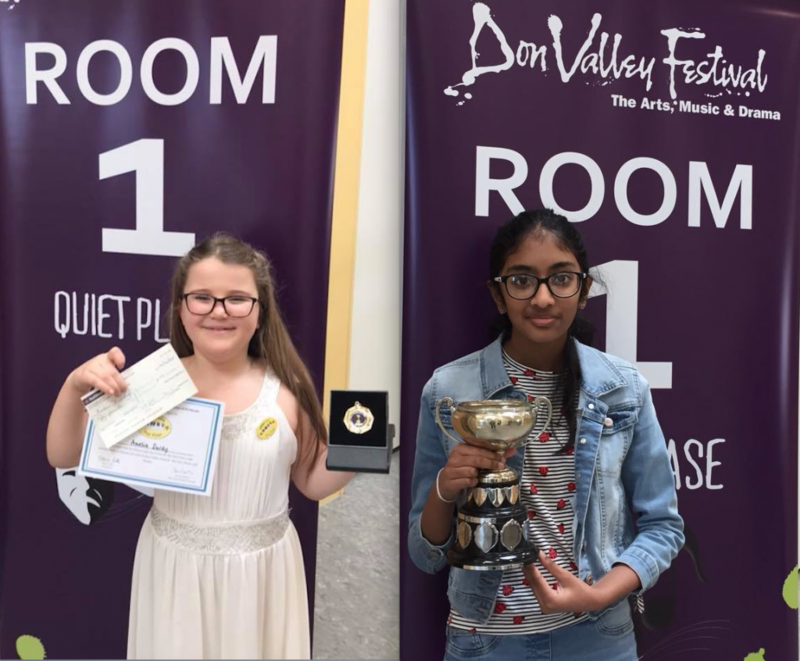 A heartfelt congratulations to the winners of the Elena Cobb Star Prize at the Don Valley Festival Amelia Durby and Methnuli Rao! 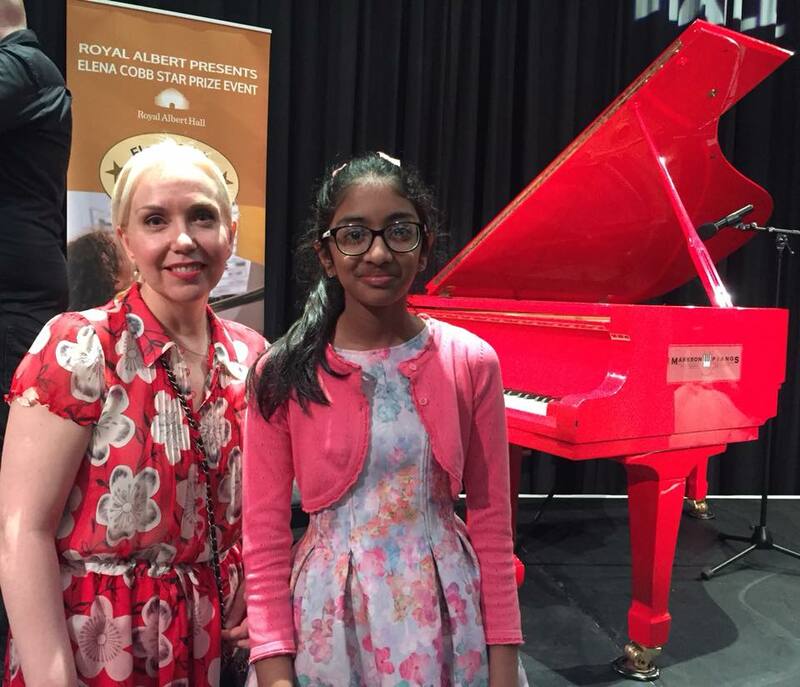 Both girls won a cash prize, badge and an invitation to perform at the next Elena Cobb Star Prize event at the Royal Albert Hall which will take place on 4 April 2019. Amelia Durdy played Heriot Water from A Borders Suite, award-nominated Celtic Piano Series, by Donald Thomson. Methnuli Rao performed Polka Butterfly from Higgledy Piggledy Jazz by Elena Cobb. 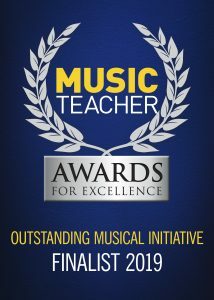 It is the second win for Methnuli Rao who recently performed at the event at the Royal Albert Hall. Please watch the video where she plays Take Three Jazz Waltz from Higgledy Piggledy Jazz by Elena Cobb. A huge thank you to the Don Valley Festival organisers for including EVC Music to your festival programme! This entry was posted in News and tagged Elena Cobb Star Prize, Festival House.